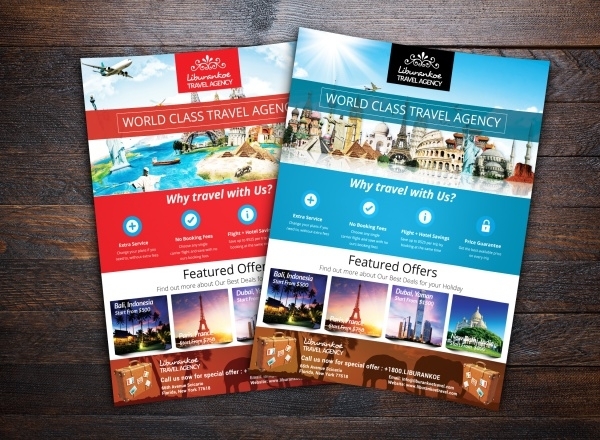 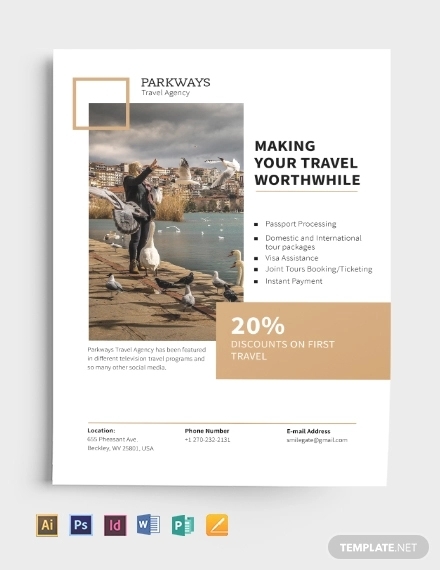 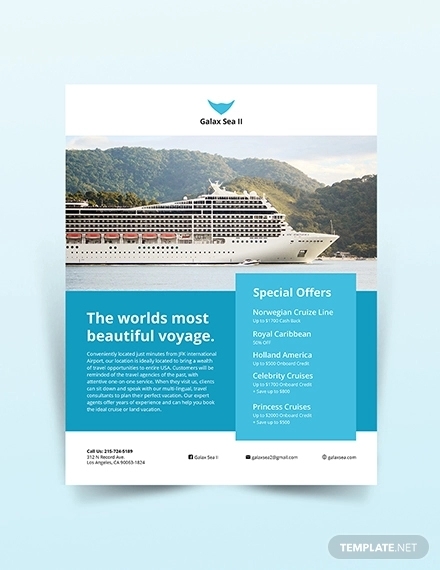 Stylish flyer designs are perfect for a range of travel, tourism and leisure business like booking service and travel agency, airlines travel, travel planner and holiday dealers. 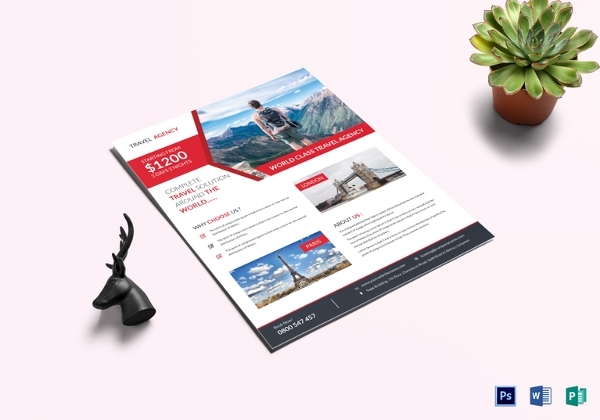 You can download PSD templates for flyer and as these templates are editable and customizable you can change the images, colours, and text. 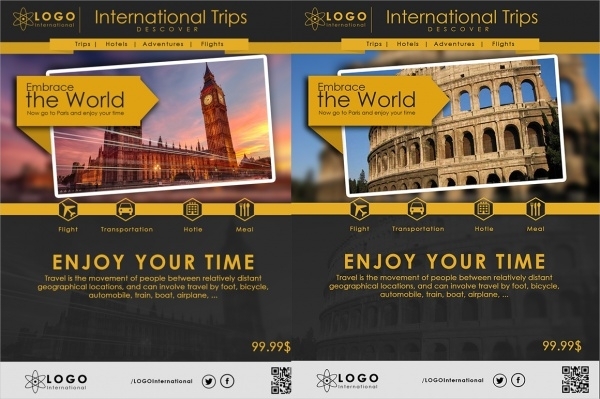 You also have the option of either choosing the whole layout or highly ordered layers. 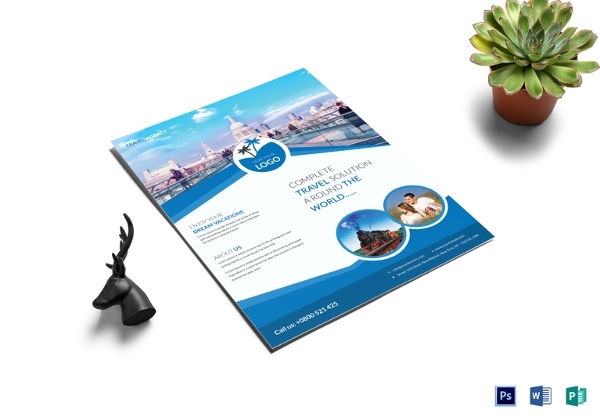 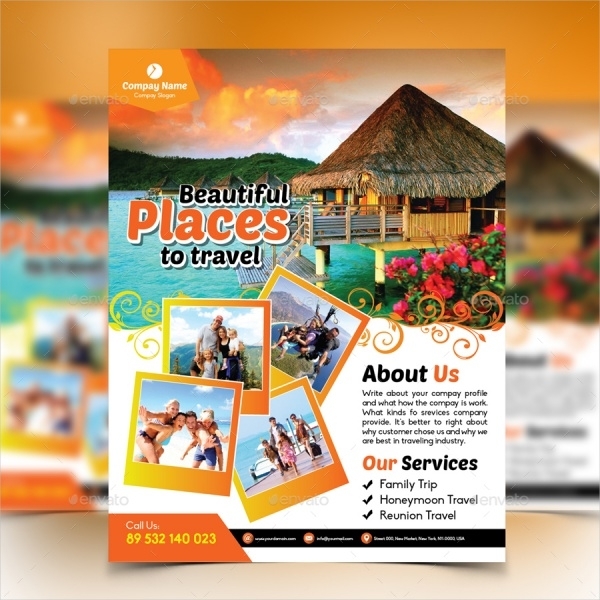 Eye catching flyer design with regards to travel will be a great help when you set to create your own flyer. 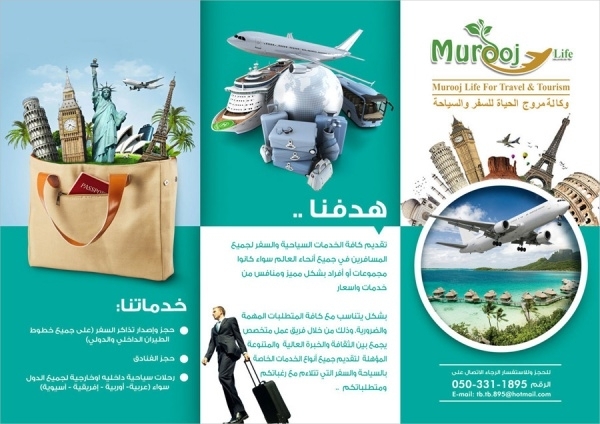 You can also see Education flyers. 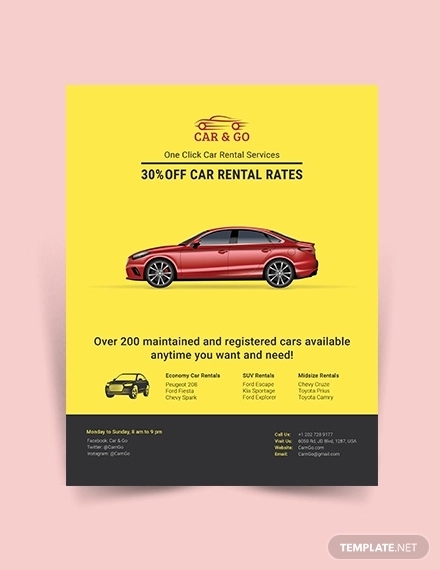 This wonderful displays a lot of space for content and photographs which make this flyer a treat for the eyes. 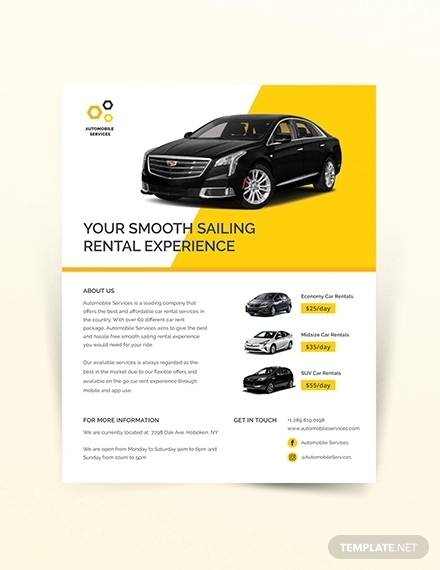 For businesses that want to promote their services, this flyer template will be very useful. 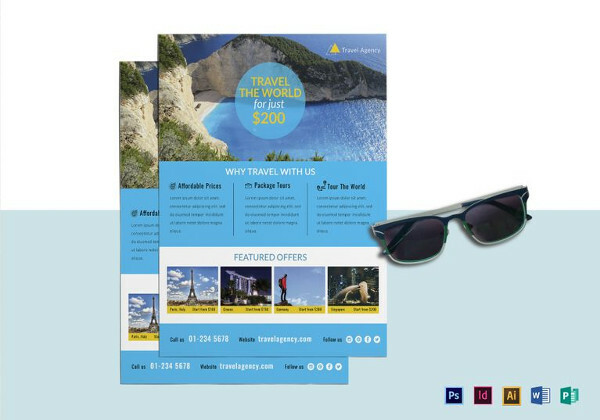 The content and photos in the flyer will help to attract your audience. 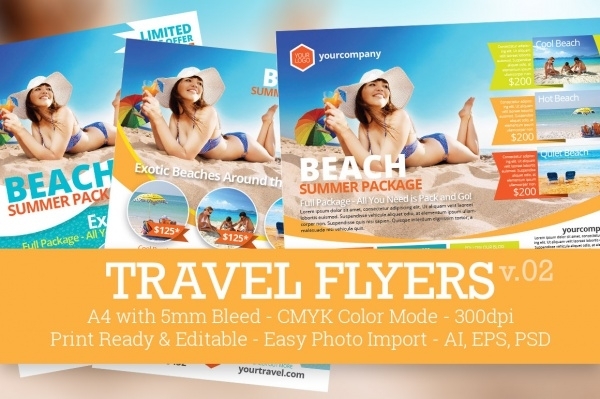 You can also see Promotional Flyers. 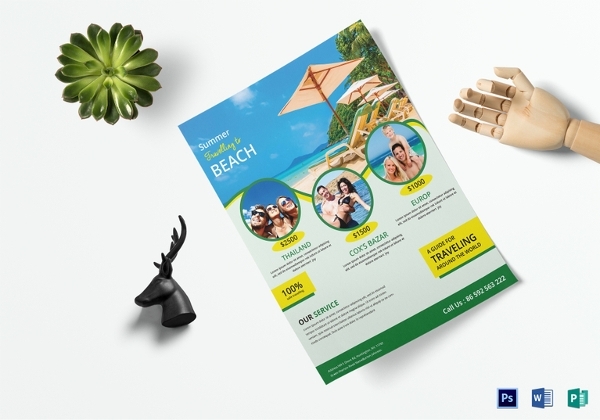 This free flyer PSD template can be used for multipurpose businesses like resorts, spas, beach restaurants, sports adventure companies etc. 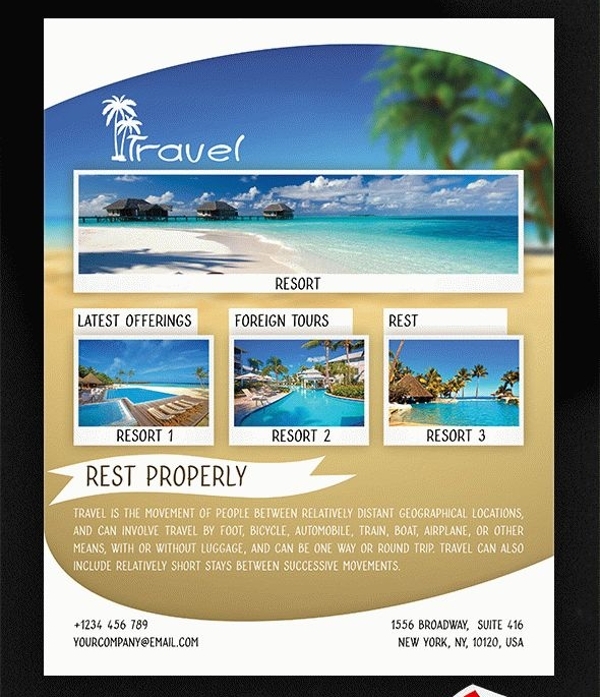 This template features the picture of a beach and palm trees which makes it a great travel template. 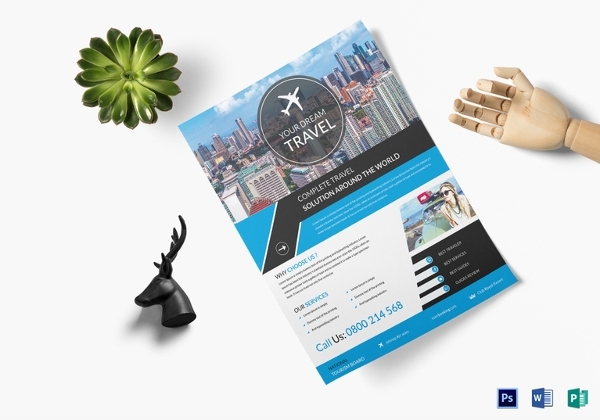 This travel flyer will be very useful for companies who wish to hand out the flyer for an advertisement about their services. 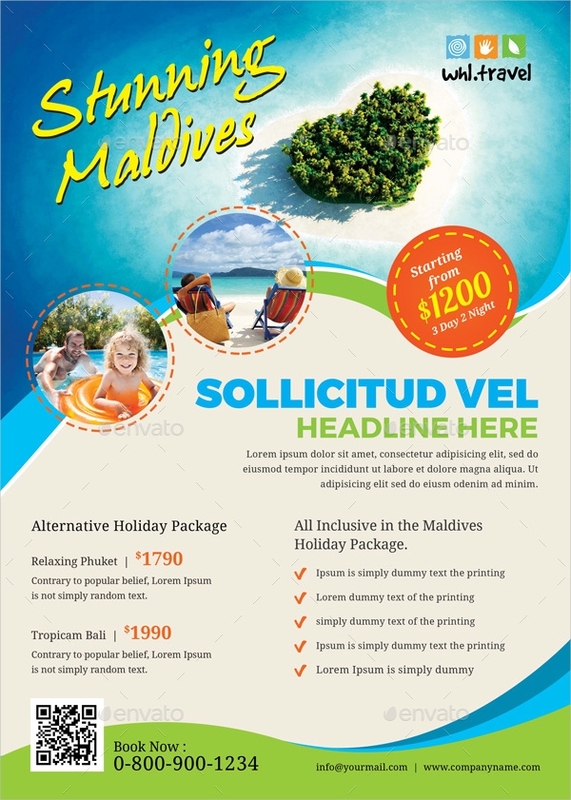 This editable flyer will be a great resource for the designer as they can customize it in Photoshop for their clients. 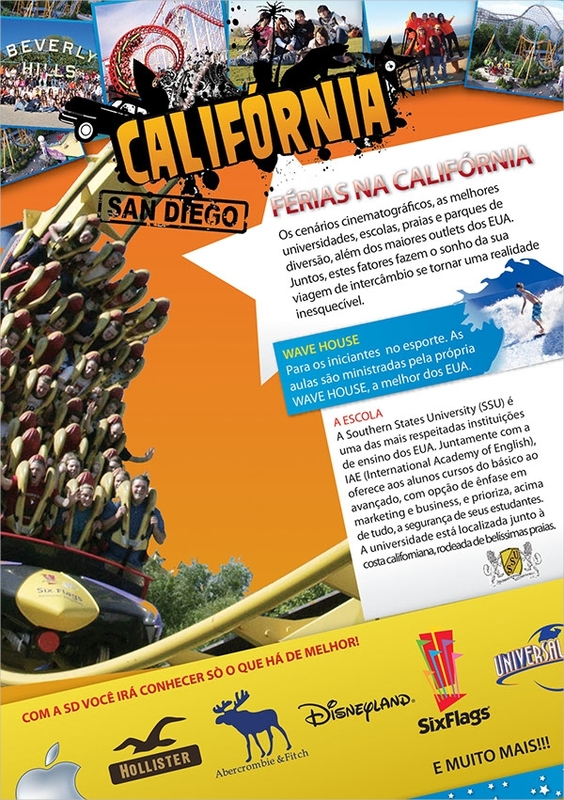 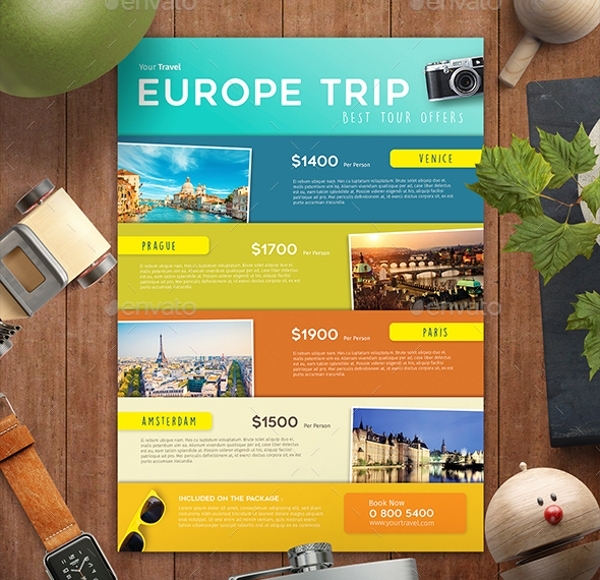 This vacation tour and travel flyer look very cool as it comes in high resolution and has several features. 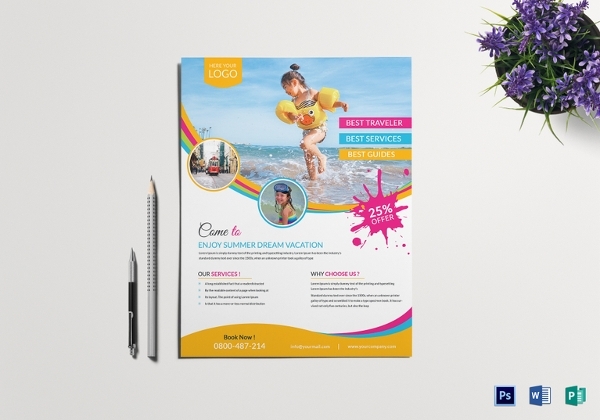 It can be easily edited and customized. 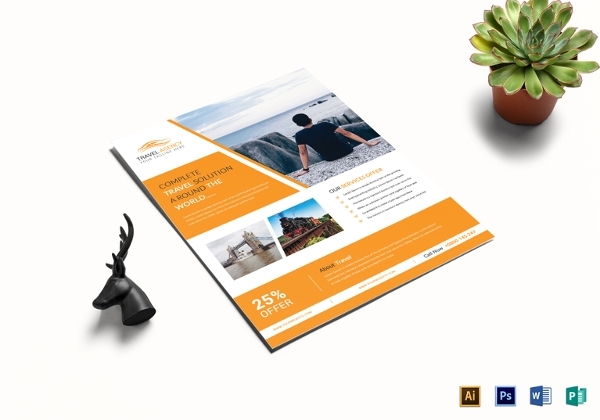 It comes with multiple layers and thus makes it look even better. 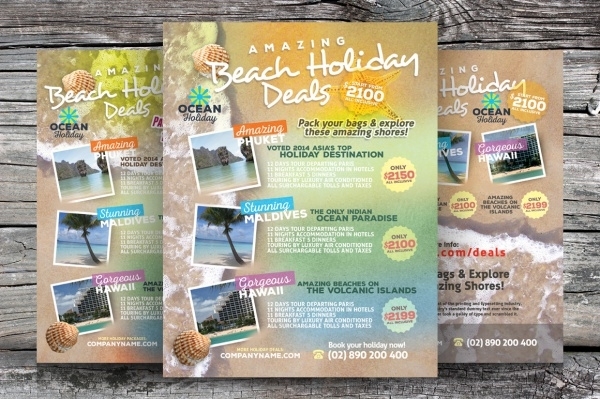 This travel flyer is very stylish and features beautiful beaches and shacks that get anyone in the mood of holidaying. 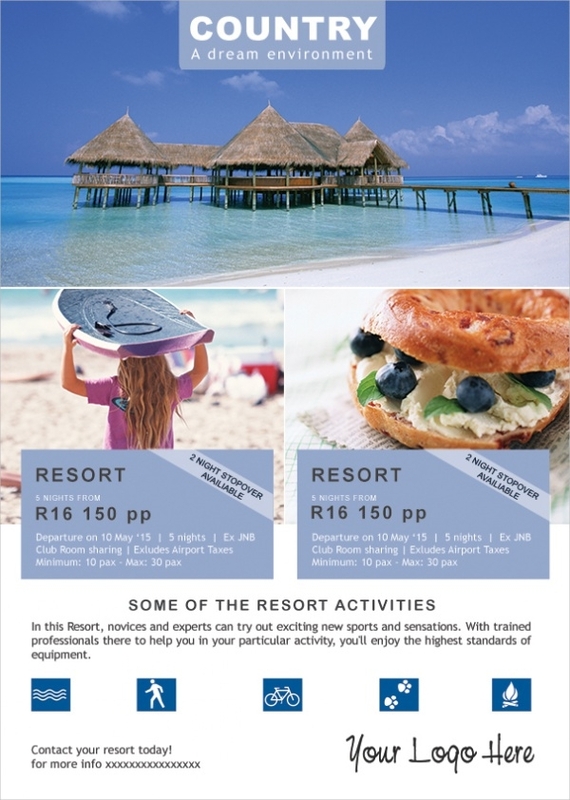 You can use this flyer for promoting beach parties, picnics or honeymoon destinations. 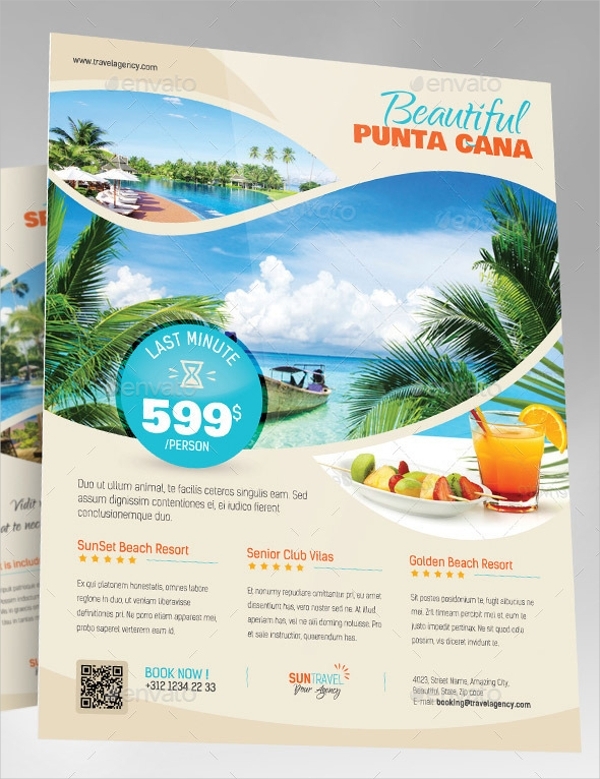 It has several layers and slots for photos and content which you can use for advertisement of your business. 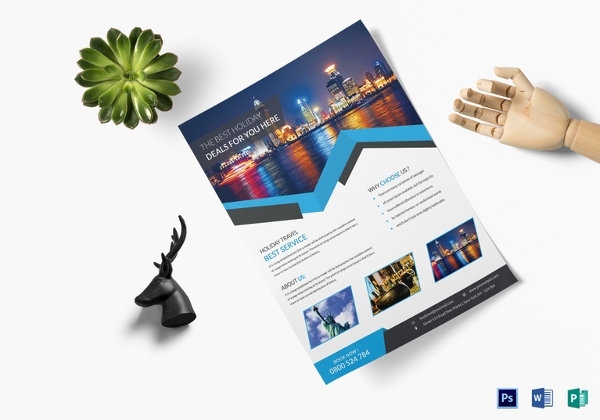 This wonderful PSD flyer template has a smart design and doesn’t look cluttered. 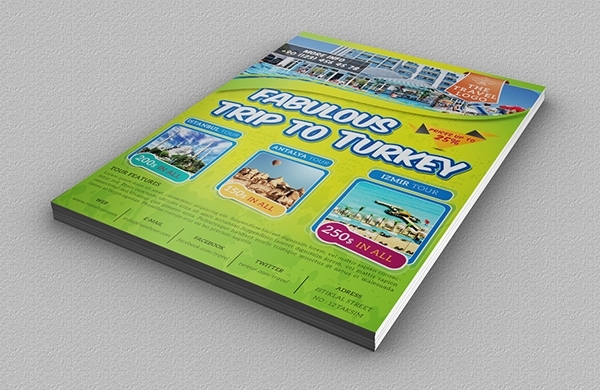 It has small slots for photos and content which can be customized and edited. 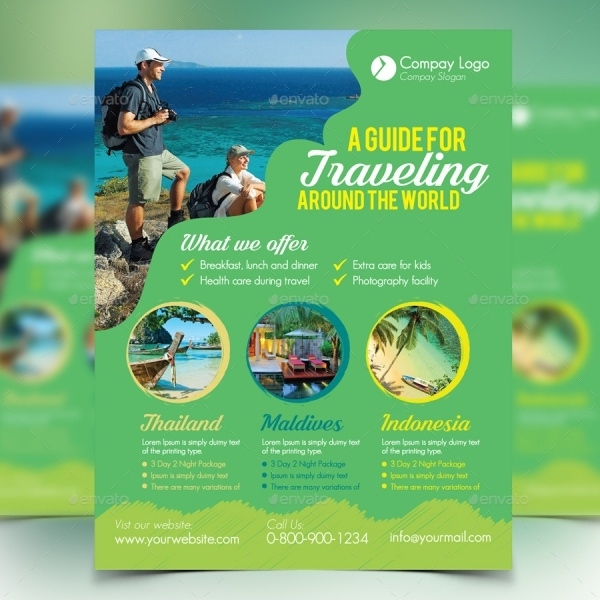 This one-page flyer can be used by a lot of businesses like travel agencies, hotels, resorts, tour buses, spas etc. 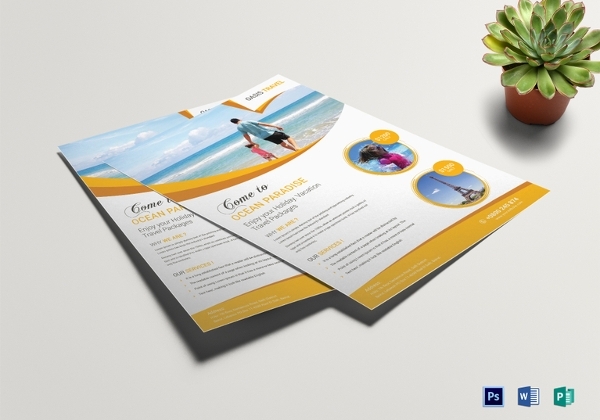 If you are looking for a tri-fold flyer, then this template must be your first choice. 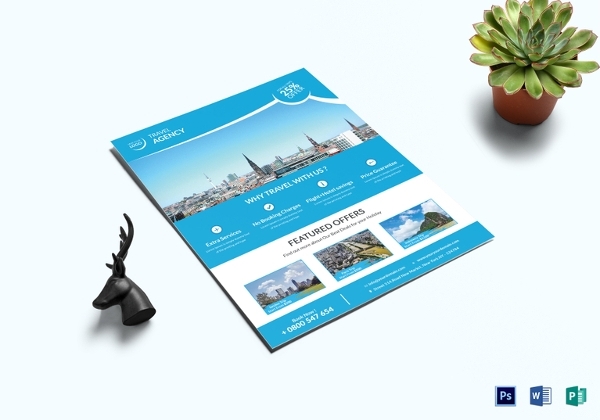 This flyer is smartly designed and features a lot of eye-catching design objects. 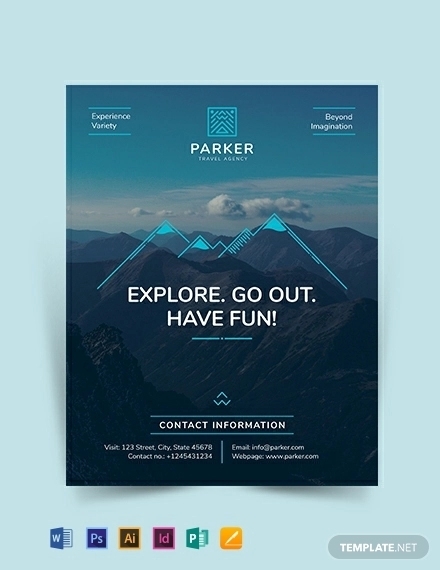 Graphic artists can download this template, edit it in Photoshop and cater to the needs of their clients. 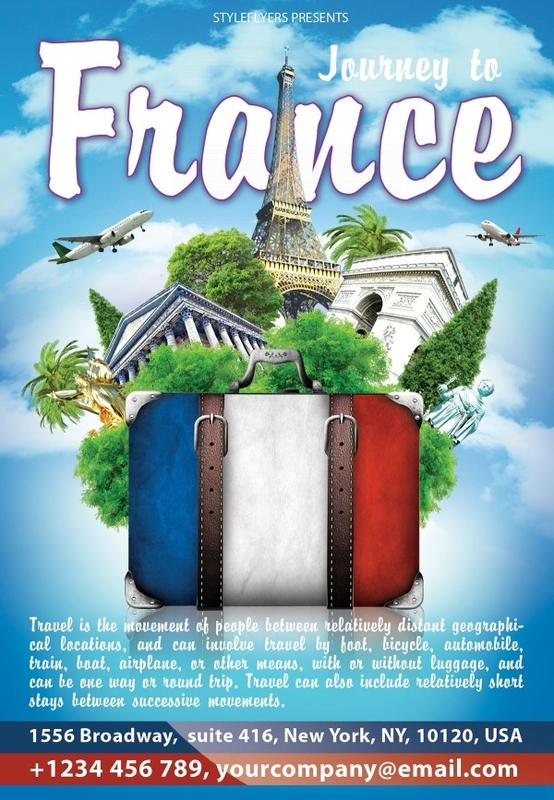 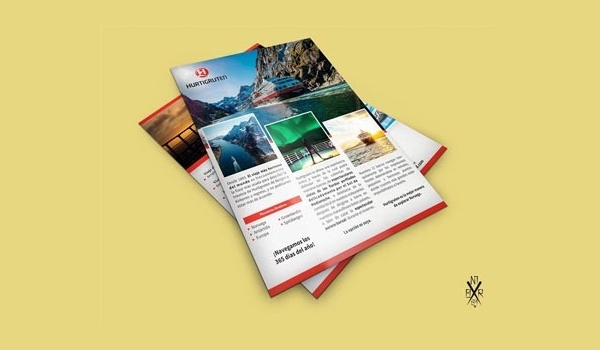 For an effective travel guide, it is important for it to have an appropriate layout. 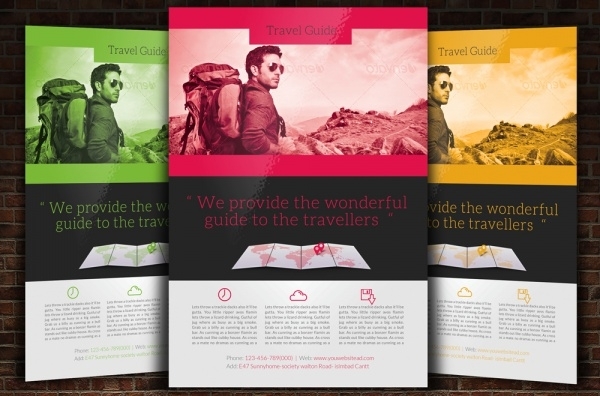 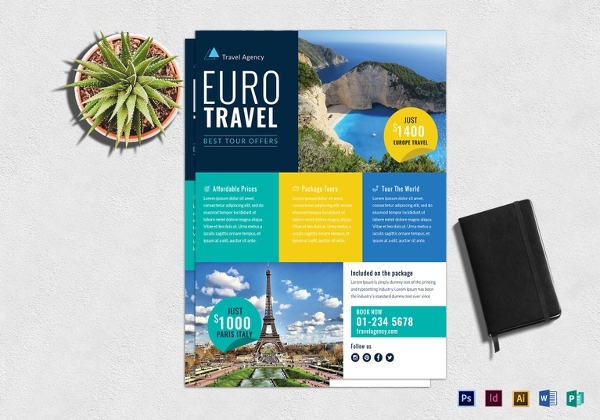 And this template will help designers to have an idea about a travel guide layout. 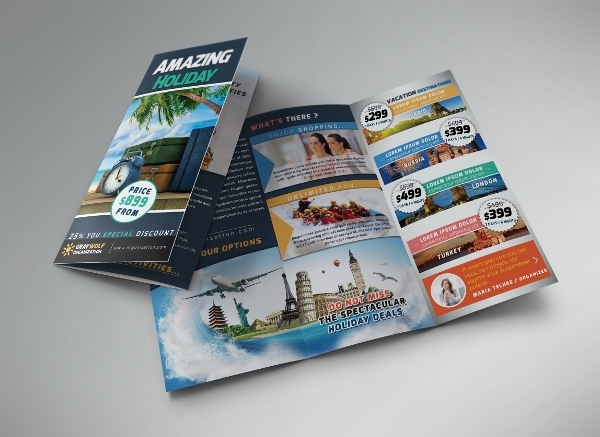 The design of the flyer is creative and the colour palette used is also eye catching. 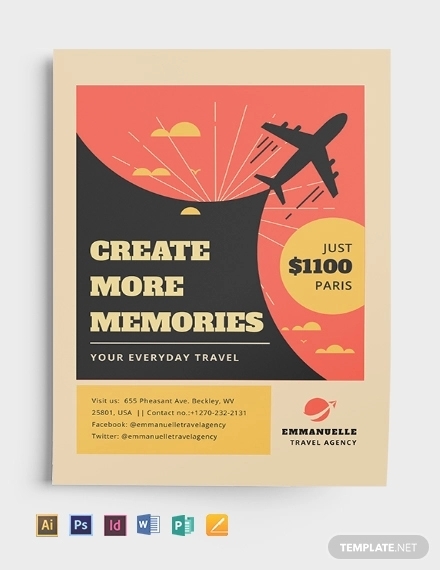 The most impressive travel flyers employ captivating images, fascinating typography, and interesting information in a nice package to make it palatable to the reader and attract his attention. 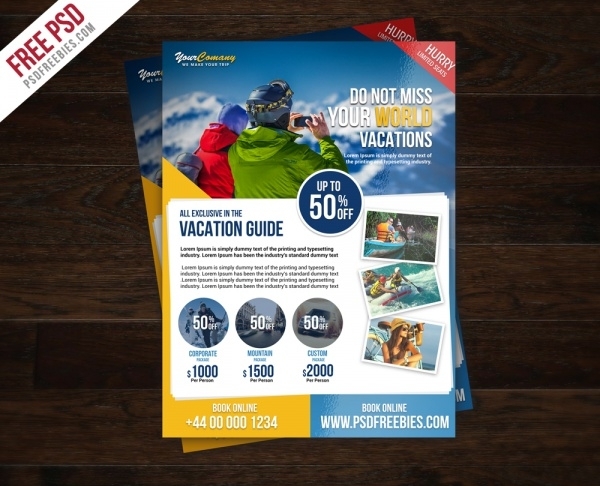 So make sure that you use nice graphics and good photos and material when making your flyer.